The Ball State University Libraries provides unique cartographic resources for research and learning. World Atlas of Golf is available from the Atlas Collection on the second floor of Bracken Library. The atlas by Mark Rowlinson was published in 2008 and features computer-generated maps of golf courses around the world—from St. Andrews in Scotland to Casa De Campo in the Dominican Republic. An entire section of maps is devoted to the Augusta National Golf Course, site of the Masters Championship this weekend. 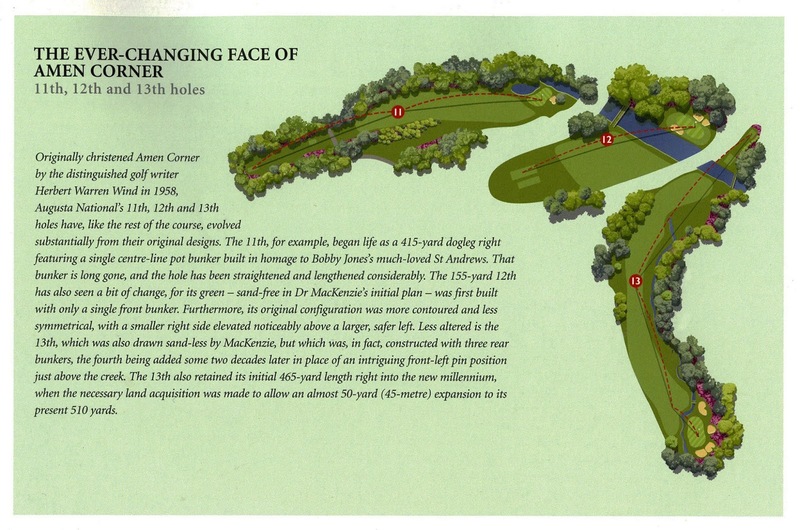 The famous feature, “Amen Corner,” is featured (above, click to enlarge). Atlases may be circulated for 28 days or longer. For more information, please contact the GIS Research and Map Collection in Bracken Library at 765-285-1097.